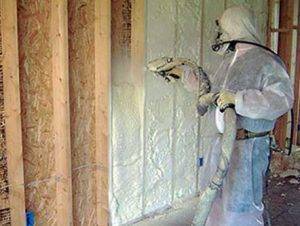 Home > Spray Foam > Looking for Trends in SPF Parts and Supplies? Looking for Trends in SPF Parts and Supplies? At Intech Equipment & Supply, we like to consider ourselves “experts” when it comes to all-things related to Spray Polyurethane Foam (SPF) insulation, equipment, and parts. To succeed in such a competitive industry, we believe it is vital that today’s SPF contractors stay informed about the latest developments in SPF parts, supplies, and materials. If you want to experience and learn SPF best practices in technical and market-related breakout sessions, the hottest SPF equipment and materials trends, or the opportunity to network with industry peers, there is still time to register for the Spray Polyurethane Foam Alliance (SPFA) annual SprayFoam Convention & Expo. The SPFA is the popular collective voice, educational, and technical resource for the SPF industry. Its committees offer a broad range of services to the industry, including creating tools that help educate and influence the construction industry highlighting the positive benefits of SPF roofing, insulation, coatings, and more. This year’s event will take place in Mobile, Alabama January 29-February 1, 2018 at the Arthur R. Outlaw Convention Center at One South Water Street Mobile, AL, 36602. For more information about the annual conference, visit http://www.sprayfoam.org/. Contact Intech Equipment & Supply Today! Trust your SPF equipment and supplies investments to the experts with Intech Equipment & Supply’s vast knowledge and manufacturer support available to help and support you throughout the purchase process and beyond. Check out our online store today for tried-and-true spray foam and roofing equipment, as well as recently released cutting-edge advancements, including SPF parts, supplies, and materials.